Chemical Peel Procedure: Remove Signs of Aging? Chemical Peel Procedure: Is it Beneficial to Remove Signs of Aging in the Skin? Chemical peel is a kind of technique used by experts to help improve the appearance of the skin. This kind of treatment makes use of a chemical solution which is then applied to the skin that will cause it to “blister” and peel off. Experts and professionals believe that the new regenerated ski will become smoother and less wrinkled compared to the skin that was removed by the treatment. However, the new skin is more sensitive to the sun after the treatment so it must be protected. Of course, people will want to know the skin conditions that chemical peel can help treat. It can be performed on the neck, hands and face and they can be used to reduce fine lines located under the eyes and also around the mouth. It can also treat wrinkles that are usually caused by aging, family history and sun damage. It can also help improve the appearance of mild scarring and help treat certain types of acne, but not all. 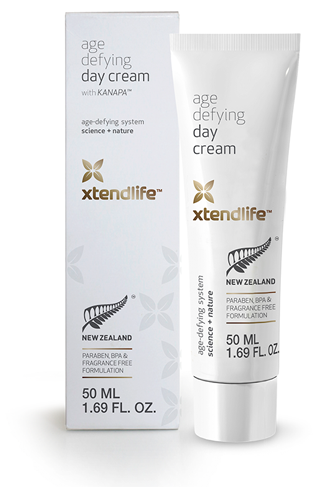 It can significantly reduce age spots, dark patches due to pregnancy or intake of birth control pills and freckles. It may also improve the look of the skin that is dull in color and texture. There are also areas of sun damage that may contain pre-cancerous keratoses. They may appear as scaly spots but they can be removed through the help of chemical peeling. However, there are things that chemical peeling cannot handle. Sags, bulges and more severe wrinkles will not be given solution by this kind of treatment. It is best if you consider the help of an expert to help determine if your skin problem can be solved by chemical peeling or a different approach will be used. The people who can avail this kind of treatment are also an important matter before you can consider this kind of skin treatment. Generally, the people who are qualified to have this kind of treatment are the people with fair skin and light hair. People with darker skins may also have good results but it solely depend on the type of problem that they want to be treated. So what do you have to expect during a chemical peeling session? Usually, patients feel a burning sensation that may last from five to ten minutes which is then followed by a stinging sensation. The experts apply cool compresses to lessen the discomfort that the patients feel. Also, a deeper peel can require medication during the process of peeling or after the treatment is done. After the peeling session, a reaction that is almost similar to sunburn may appear after the procedures. This treatment often involves redness on the peeled area followed by scaling. It will end from three to seven days depending on the type of chemical peel. Usually, this kind of treatment is done with several sessions. It is often repeated once every four weeks until the desired result is achieved. Chemical Peel is probably one of the best solutions to remove signs of aging on your skin.